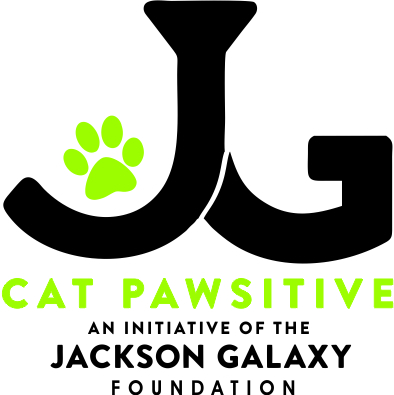 A "pawsome" t-shirt for Jackson Galaxy Foundation Cat Pawsitive participants and supporters! 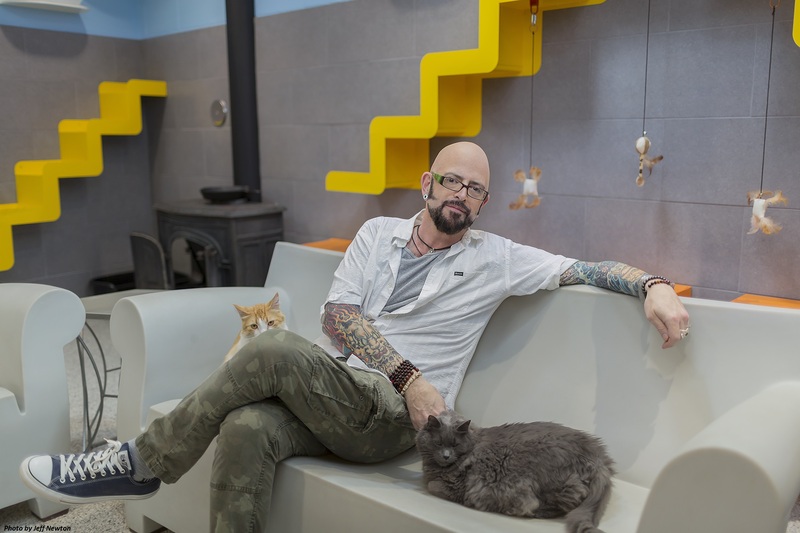 Developed by Jackson Galaxy and a team of animal behavior experts, Cat Pawsitive is a mojo-enhancing, “pawsitive”-reinforcement training program that enriches day-to-day life for cats in shelters, builds new skills for cats as well as shelter staff and volunteers, promotes the human-cat bond, and helps improve adoptability. By utilizing positive, reward-based Cat Pawsitive training, a shelter volunteer or staff member can reduce the stresses that might keep a cat from connecting with an adopter. With clicker training that positively reinforces good behaviors, a shy cat can learn to feel comfortable coming up to the front of her cage to meet a potential pet parent, a feisty cat can learn to play nice, and an outgoing kitty can even learn to give an endearing "high five" to his visitors to seal an adoption deal. Cats gain confidence and get mental and physical stimulation through their clicker training sessions, and soon they are building connections with staff, volunteers and potential adopters.